This trip will allow me to gain skills and insight that will improve my writing and blogging, as well as the opportunity to meet some of the amazing pet bloggers I've come to know as friends, like Jessica from You Did What with Your Wiener, Kimberly from Keep the Tail Wagging, Amanda from Dog Mom Days, Maggie from Oh My Dog, and too many more to list. 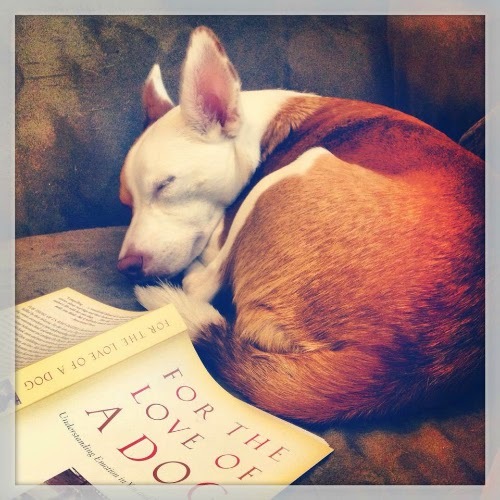 I'll have my perfect Potcake by my side to help with those introvert moments, and spend three full days surrounded by people whose lives also revolve around dogs. I know my bond with Boca will only be strengthened by this big summer adventure! Boca and I will be attached at the leash-clip for a whole week straight! It will be my first long trip in my new-ish car, and my first extended road trip with one of The Ginger Sisters. Ruby's reactivity doesn't allow her to attend an event like this, so she'll be holding down the fort with my dad in Denver. 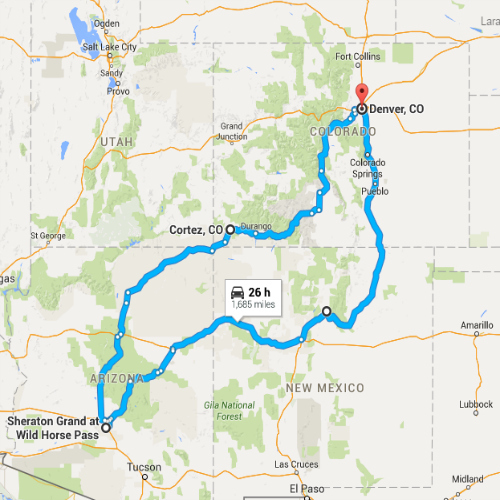 We'll be taking two days to get to and from Phoenix, and I'm especially looking forward to overnight stays in my hometown of Cortez, Colorado in the Four Corners area, and Santa Fe, New Mexico where I lived with my aunt for a summer. Leading up to the trip I'll be posting travel tips, packing pointers, and reviews of dog friendly locales both in Denver and on the road as I get Boca prepared for the crowds and activities at BlogPaws. I'll also be sharing some fun facts about our generous sponsor, Open Farm. 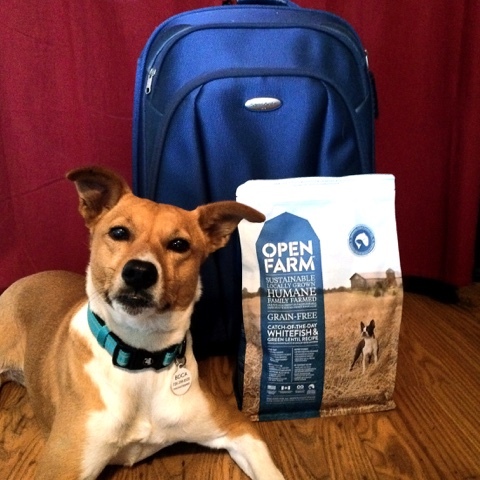 I hope you'll join us on the Road to BlogPaws! 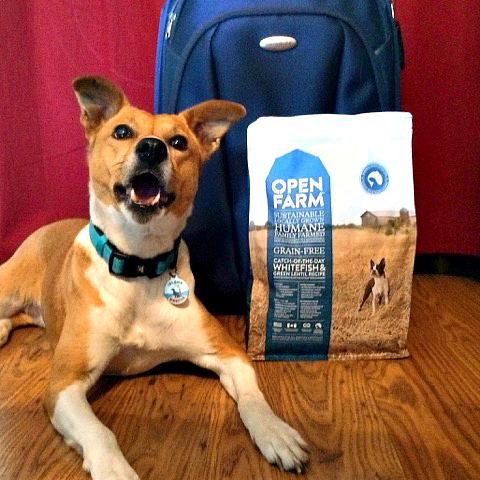 This post is sponsored by Open Farm as part of our Road to Blog Paws series. You can visit Open Farm on Facebook, Twitter, Pinterest and Instagram. Yaaay! I love this for so many reasons! Open Farm IS great. My dogs love it and the company is wonderful. I can't wait to meet you and Boca. Thinking back, you were one of my very first blogging friends. I've known you since the beginning of Dog Mom Days! Road trips with dogs have come to be my favorite thing ever. 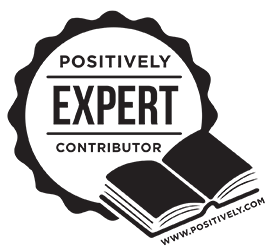 It'll be fun to read about your adventures :) Congrats on the sponsorship - you most definitely deserve it! I know, Amanda! I believe it was Kimberly that introduced us when we were both on her podcast. Hard to believe it's coming up on three years already. Will you bringing the whole crew or just Wynston? That sounds like so much fun! I can't wait to read more about your trip! Thanks, Lauren! I'm super excited - I know Boca is going to make a really good travel companion. Congrats! I will be there, too. I love Open Farm and hope they eventually also make cat food. Oops, just went to their web site and realize they do now make cat food! That must be new. I'm super excited and will be picking up some for my kitties. Yes, I'm happy they offer cat food now, too - my elder kitty Nina will be trying it soon, I think. SO, SO, SO happy for you! I never had any doubt you could find a sponsor, either. What an inspiration, and great company! Will be following closely...see you in AZ! Thanks so much, Elizabeth - we were going either way so the sponsorship was awesome icing on the cake! See you in June! I hope you and Boca have a great time. Honey loved meeting people at BlogPaws. Boca's number one talent is sleeping, so I'm sure she'll have no problem! I wish you & Honey were going to be there this year. That's great news Lara! 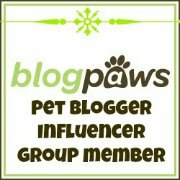 Perhaps one year I'll get to blogpaws too! Meanwhile I hope you and Boca have a great time! Congratulations...that is so exciting! I made a two day road trip to BlgoPaws Nashville last year, no dogs, but with a friend, and it was a great experience. I look forward to learning more about Open Farm through you, they sound like a wonderful company. So excited to hear about your trip and live vicariously through you when you get to Santa Fe! I've been thinking about roadtripping that way with Bar some day so she can see my old stompin' grounds ;) For now, I'll just hope that you post lots of pictures of Boca enjoying Santa Fe so I can show Barley! Road trips are so fun. You'll have a blast. I spent 10 days driving to BlogPaws in Vegas two years ago. I can't wait to see you there! Have a great time, and congratulations!